Please take the time to read this! See our Zero Tolerance Policy! Under the conditions of our event permit, camp fires are allowed however they must be less than 1mtr x 1mtr in size and must not be left unattended. As a preference to a conventional camp fire, we strongly advise the use of a fire bucket to contain the fire. We also recommend that you have a fire extinguisher or bucket of water handy at all times if possible. All fires must be completely and properly extinguished when not attended. Do not construct a fire in the vicinity of long grass or other easily combustible vegetation. An RFS tanker will be on-site at all times so if in doubt please consult with the RFS officer. Collection of firewood for campfires must occur within the State Forest and not in roadside reserves of council roads, in particular Dark Corner Road, West Mitchell Road and Sunny Corner Rd. Collection of firewood for campfires must occur only within areas where firewood collection is permitted. Please click here for Map. Do Not Camp in any area where you may impose on the privacy of local residents or areas that are specifically signposted as No Camping areas. Do Not make unnecessary noise – please respect your neighbours, the local environment and the local residents. Do Not ride up and down the main roads or into or near the Sunny Corner village. Please stay inside the forest area. There is a zero tolerance policy for anyone breaking the rules or for any form of anti-social behaviour. Anyone found guilty may be excluded from the ride and prize draw, as well as from future events. The Police will be involved if required. With your help and understanding we can all continue to enjoy the Sunny Corner Trail Bike Ride for years to come. There may be a limited number of entries accepted on the day of the ride. If you have missed entering online and want to register on-the-day please download, complete and bring this form with you. We have changed the location of the Start / Finish area which is now situated in a more secluded location North of the Sunny Corner village. Directions will be signposted from the Kirkconnell turn off on the Gt Western Highway. A map and directions to the new Start / Finish area are also available on the map page. There will be three loops! The North and South loops will be approximately 50-60km’s each in length and the new West loop will be about 30km’s. All three Loops will open at 8:00am on Saturday and Sunday and will take around 2 – 3 hours to complete. Loops will close between 1:00pm and 2:00pm depending on weather conditions etc. You will not be able to start a loop after they close (for safety reasons), so if you want to ride two loops in the one day you need to start early. There is the normal mix of easy hard splits so if you’re not super confident or are getting a bit on the weary side you can avoid those extra technical sections and meet your mates at the next re-join point. Most trails feature tight pine tree lined single trails, as well as some fire trails, some challenging sections to test the more experienced riders, and the surface is ever changing from loam to rock, from sand to mud. You can ride any combination of loops on either the Saturday or the Sunday – it’s up to you. When you register at our Entry Hut you will be issued with a number of items including a rider number sticker. Please ensure that your rider number is securely stuck to the number plate area above the headlight. This sticker enables clear identification in case of an incident and the sticker also contains an RFID chip which we use to monitor your status on the loops. The RFID system tracks your bike as you leave and return through the Start / Finish gates of each loop. This allows us to identify if you leave but don’t return. If you don’t return we go looking for you. You MUST ride through the gate on the way out and in, however, if you shortcut back, break down or are injured and miss the finish gate, please let us know when you return by recording the loop that you have returned from, along with your name and rider number on the forms that will be located at the Start / Finish area. (This way we know that you are safe). Failure to place the sticker above your headlight and/or failure to ride through the gates or to manually notify us of your return will result in exclusion from the Prize Draw. We have a large number of sweep riders circulating at all times. The sweeps are clearly identifiable by hi-viz vests and their number plate stickers are Yellow with the word “Sweep” at the top. We have recovery vehicles in case of major breakdowns and these carry a large “Recovery Vehicle” sticker on each door. Paramedics in four wheel drive vehicles are stationed at the Start / Finish and are available to treat any injuries throughout the weekend. There’s a big forest out there! The ride is being held on public roads so your bike must be registered OR have a current UVP (What’s a UVP? See this article.). Make sure that your bike is properly prepared and that you carry suitable spares and tools in case of a flat tyre or breakdown. We also recommend that you carry a drink and some snacks. A mobile phone and GPS can also be useful. As soon as you are settled into your new camp site, make your way to the Ticket Hut (located at the Northern end of the Start / Finish area) to collect your rider pack. Please bring your riders / drivers licence with you. There is no scrutineering of your bike, all that is needed is that we see your Riders license – no license, no ride. NSW Police may be present both days and you will need to produce your license if required. Catering will be provided by the Holy Family School. Their van will be serving food from 7:00am on Saturday morning through until 7:00pm – or later if there is the demand. On Sunday they will again be open from 7:00am through until early/mid afternoon – again depending on demand. Toilets There will be three toilet blocks provided and they will be located at the Start / Finish area and along Mt Schofield Road. Note: As the toilets require a constantly powered water pump, they will not be available for use at night time. The presentation / prize draw is held at the Start / Finish area and will now be held on the Saturday evening (previously Sunday)! This allows people that travel a long way to come to our event to leave earlier on the Sunday afternoon if they want. We will be lighting our famous bonfire at 5:30pm and the Prize Draw will commence at 6:00pm. Remember – now Saturday! Yamaha will be providing a brand spanking new WR450F valued at over $12,000 plus it will be fitted with a Genuine Yamaha Technology Racing (GYTR) parts package valued at over $2,400! Yamaha will also be providing a very cool and handy EF2400IS Generator Valued at over $2,000! 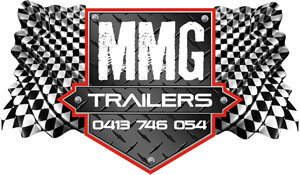 MMG Trailers will be providing a fully enclosed bike trailer as another super prize! Our Club (CTMCC) is providing 2 x Yamaha PW-50 Minibikes. Lots of our other loyal sponsors will be providing a great range of supplementary prizes. Yamaha will also bring along to the event a range of Yamaha demonstrator bikes that can be test ridden around a short dedicated “Yamaha Test Loop”. This is a great opportunity to test ride your choice of Yamaha’s finest dirt bikes in real world conditions! 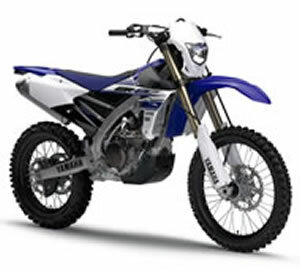 Have a ride and see just how good Yamaha dirt bikes really are! As usual, there’ll be Trade Alley where some of our sponsors will be showing and selling their wares, along with our super large LED screen which will show a range of interesting video. We look forward to seeing you at the event. All the best and have a safe ride. 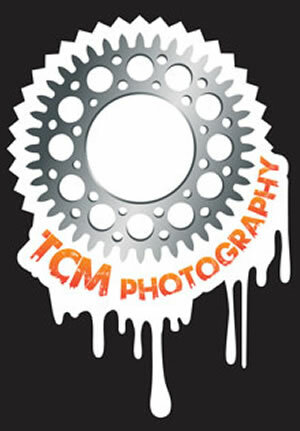 CTMCC Sunny Corner Trail Bike Ride Committee. P.S. If you have any questions please feel free to send an email to entries@sunnycorner.com.au and we’ll be happy to help.